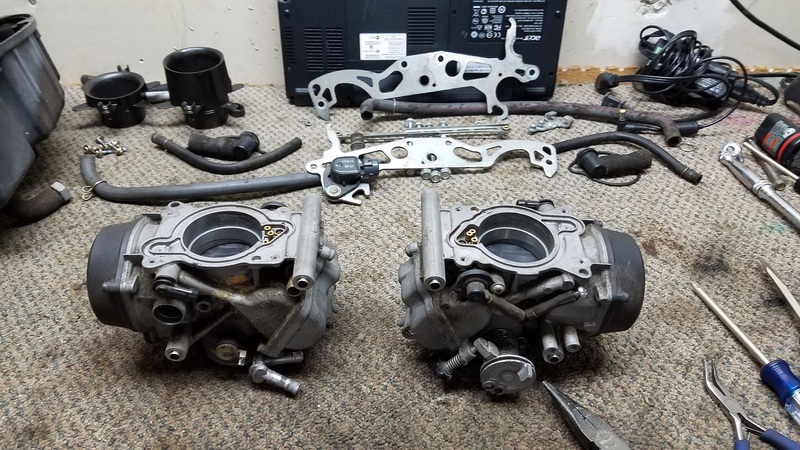 Havent seen too many pics of carbs being taken apart so I figured I show off a few pics of mine going from nasty to clean again. 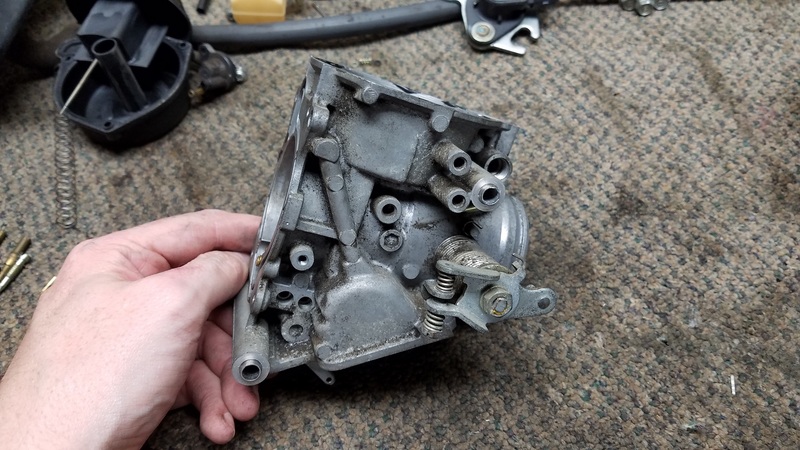 Right now I have the front carb apart and soaking and the rear will be after. 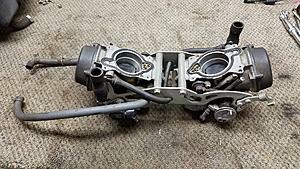 Ill have to get some gasket sets for the carbs to replace all the worn and flat o rings and such but ill snap pics as I go. 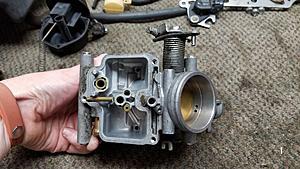 I also noticed that the carbs have adjustable needles. As its laying is how the washers were installed. Little on top of the clip and the larger under the clip. Its at slot 4 counting from the top. Is that ok? 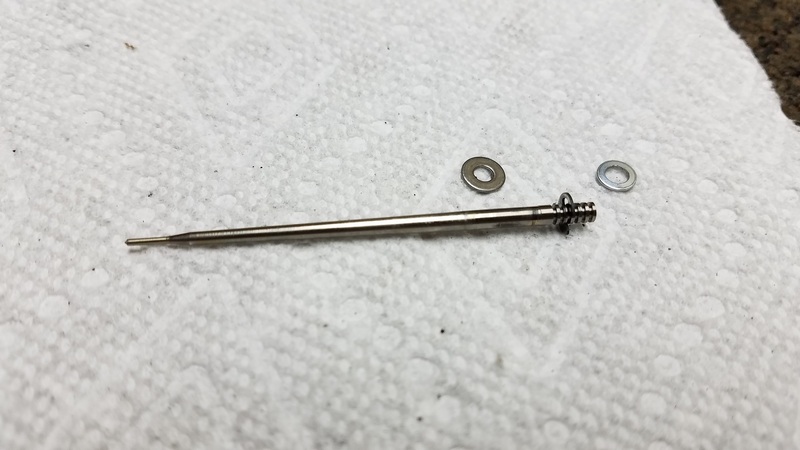 I may be wrong but I am gonna say that's not a stock needle. TMK adjustable needles are aftermarket like dynojet or factory (factory is a brand not the Honda factory). 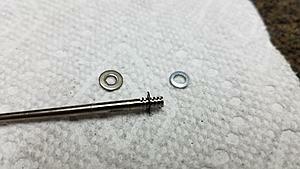 The clip can be moved on the needle then the washers are half step spacers for fine tuning. Thanks for the reminder but yes I know to put no rubber in the dip. Ive done a few bikes carbs and I love cleaning them up and tuned to perfection. 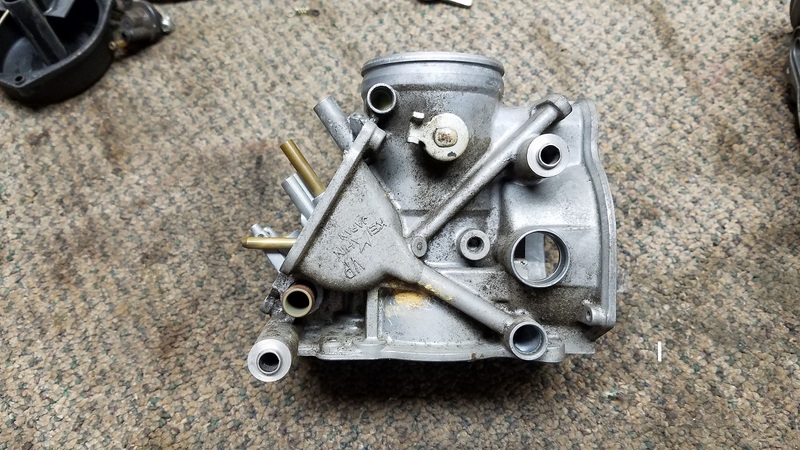 Front carb is done with its little bath and looks a fair bit better. I have maybe 4-6 orings that I need to buy before I call the front "done"
Rear is soaking now and will be cleaned up to the same point later. 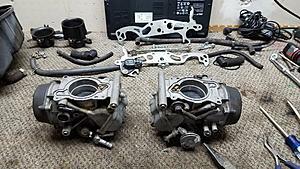 Got the carbs cleaned the other day and put back together. 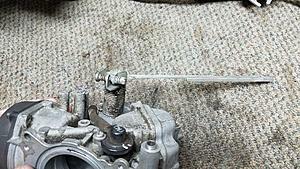 New hoses were replaced where needed. 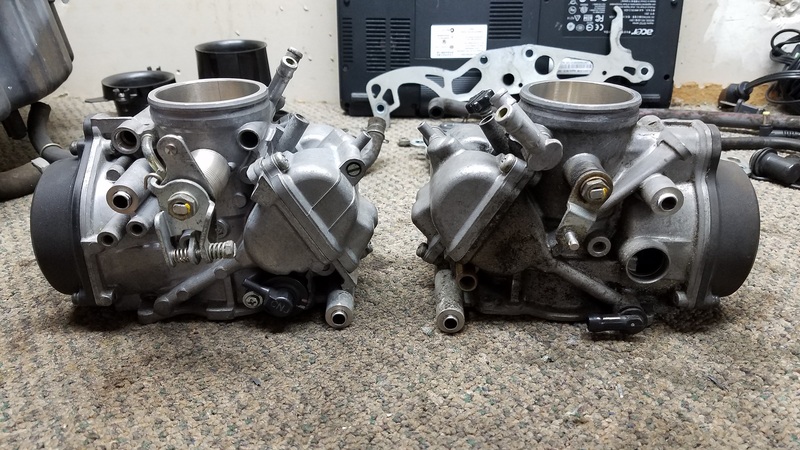 Just waiting for a sync fitting to come in and the choke fittings from CaryDG and I can get to syncing these and hopefully riding before the years out. Love FL "winters"
EDIT: I went 2.5 turns out on the A/F needle as a start. Ive seen 2.25 -2.5 so I figured it was a good starting point. Last edited by Floyd; 11-20-2017 at 06:08 AM. Got my new filters in and looking good. The STUPID sync fitting snapped on me. I barely put any pressure on it and it snapped. Maybe 2in/lbs at best, like the pressure of a thumb and pointer finger turning it. Soooo. Now I have to order a new one and wait a week before I can try again. 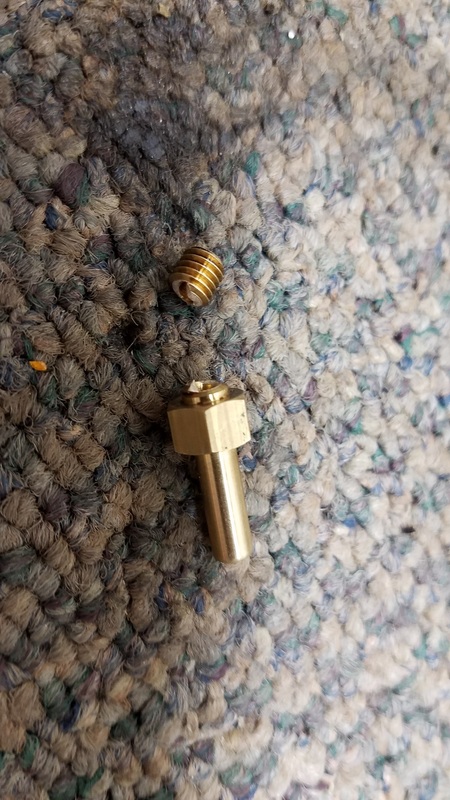 Also you can see the enrichener fitting snapped also. It seems to be a trend with the superhawk I think. Lol, hate when **** like that happens. Best to walk away for the day. Yea I was upset that I snapped it after waiting a week to get it but oh well. Im trying another style next. 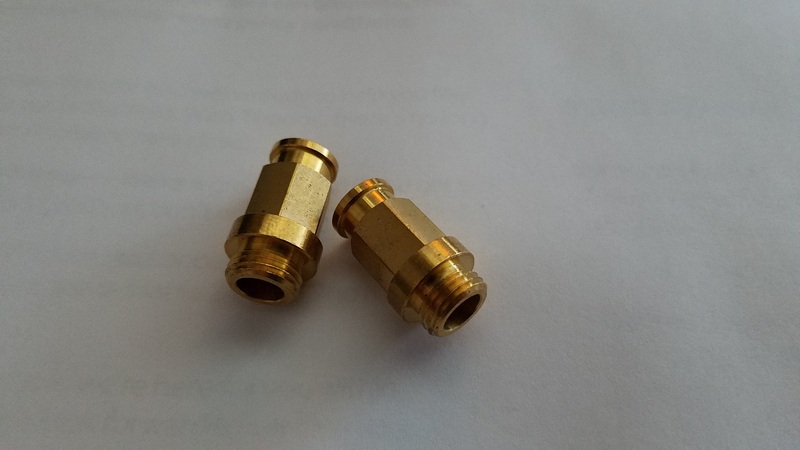 Strange, I've installed dozens of those fittings and never had one snap off like that. Id run a tap in that hole before trying to install another one. Not the choke fitting, ya they bust all the time.....Brass replacement from Jack Flash is your best bet. 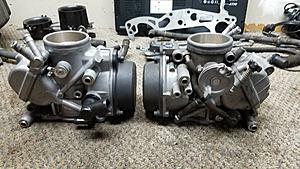 but an OEM one from Polaris and some simple mods can get you up and running as well. 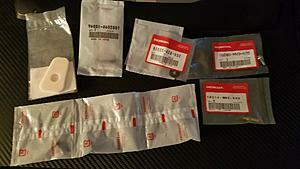 ..
And the vacuum fittings I ordered some other ones to try out since the Honda one snapped like a twig. I got the fittings this past week and just got home from travel and they are great pieces. I cant thank you enough! 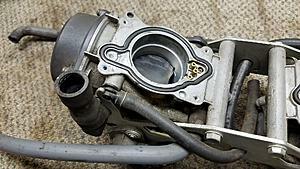 Ok I got the carbs back on the bike with all the new fittings. I used my not so many force gauge and got them snug without snapping this time. Question for you all. 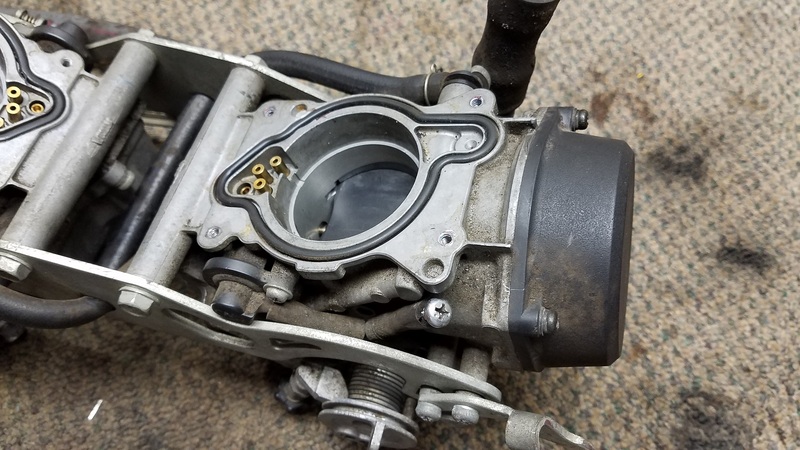 Do you sync your carbs with the air box on or off? Im not sure I can get to the sync screw with the box mounted. On, always, your syncing airflow between each carb.... cant do that it the air flow has been altered from how it will be in use. Hmm alright I guess ill figure a way to get to the screw once the box is in place then. Just have to pick up some more hose and I can sync the carbs and all and get to ride again! 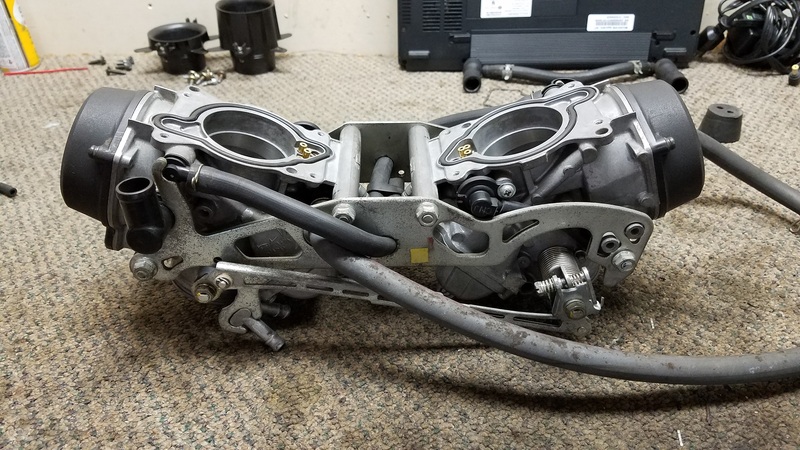 I got the bike back together but there is no possible way to get to that sync screw with the airbox on let alone the fuel tank. How are people syncing this bike? I had TONS of room when I had a Katana. 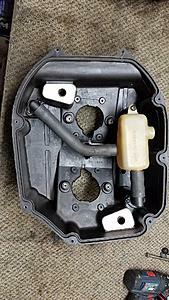 Access is from the left side,7mm 1/4" drive socket in a universal joint, 6" extension and a 1/4" driver handle. 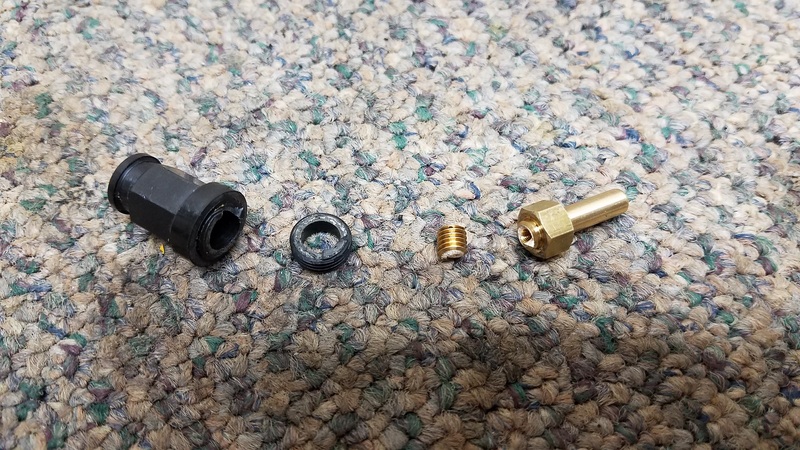 If the U joint you have is very loose (does not hold position) wrap it in a piece of electrical tape as you don't want the socket and U joint to flop all the way over. Some people find removing the tank bolts and propping the tank up an inch or 2 gives a little more room. Last edited by E.Marquez; 12-13-2017 at 06:31 AM. Wow ok I guess ill give it shot and I should know by this weekend if it worked! Got it fired up but not synced yet. Here is a short vid. Got the bike Synced and wow its a new beast! Like going from 600cc to 1000cc! The thanks goes to Jack Flash. I just Pay It Forward. Don't forget to set your TPS at 500ohms. It's easy, just search this forum for the "How To"
Ill have to check that and see what its at! My TPS is riveted on, does that mean that I cannot adjust it? As the OEM considered it yes, they all come with a one way torque to release fastener. Floyd, Most use a Dremel or somesuch, to cut a cross slot in the remaining screw head and use the appropriate driver to remove them. 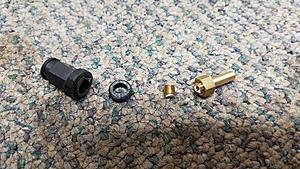 Then just replace them with the fastener of choice, socket head cap screw, etc. Adjusting the TPS cleaned up the low RPM surging and rough idle on my '98. Ill get on this when its not ~20f at night. Even in the garage its about 30f and thats too cold to work in for me. Seems easy enough. 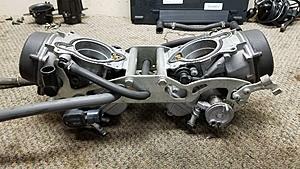 I already have the 5mm bolts and all in stainless to go in there. Im also going to relube my turn signal switch because the button sticks bad for right turn and cancel. 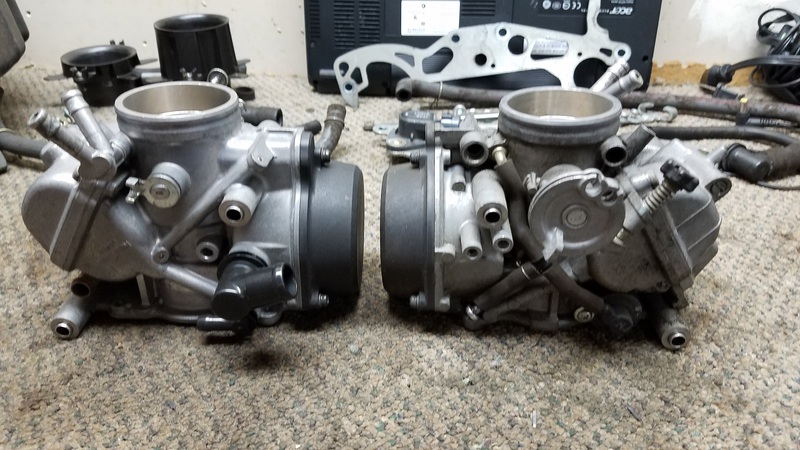 Got around to setting the TPS to .500 and man what a difference! How to clean the lower pipes?